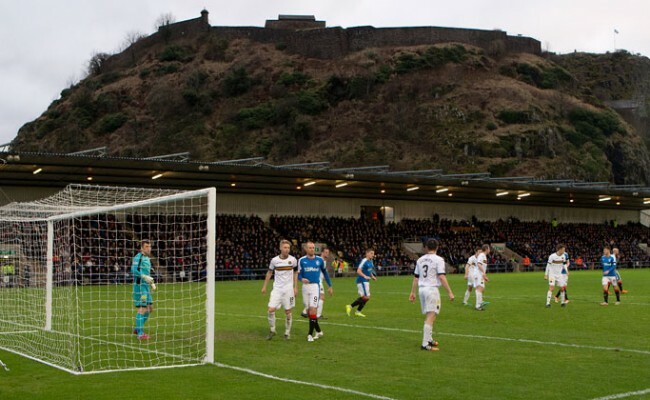 RANGERS progressed to the Scottish Cup Quarter-Finals in dramatic fashion as Nicky Clark netted an injury time winner. The game looked for everything to be going to extra time but the forward buried a stretched strike at the near post deep into stoppage time from a Barrie McKay corner. 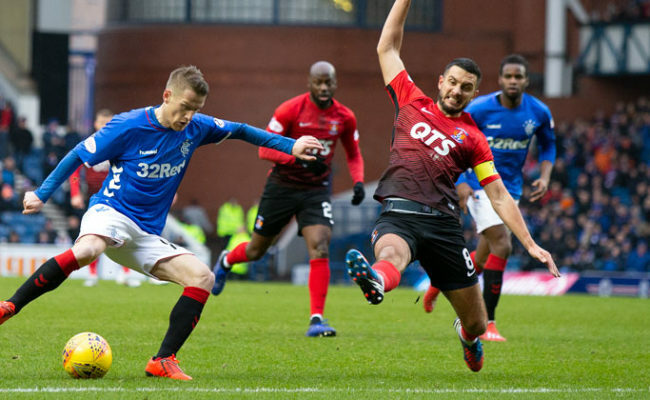 It was an incredible game that came alive after less than two minutes when Martyn Waghorn was tugged down for a penalty, which he scored himself. By seven minutes it was 1-1 as Rory McKenzie sent a whistling shot beyond Wes Foderingham. Mark Warburton’s side will now face Dumbarton or Dundee as they seek out a place in the semi-finals. 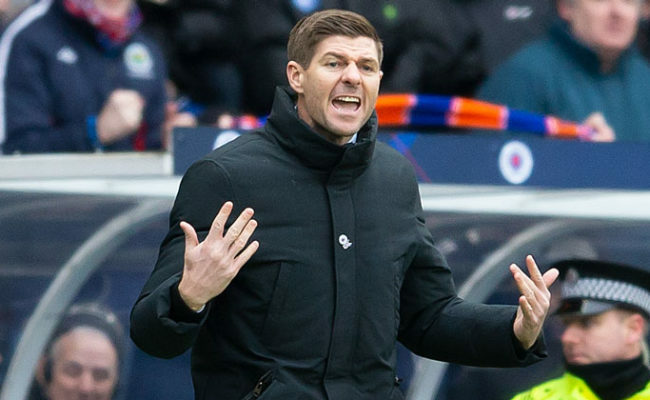 It was a frenetic opening which saw Rangers hold their lead for just five minutes. With a minute and a half on the clock Waghorn was hauled down by former Ranger Stevie Smith as he skipped into the box from the right. And despite the striker picking up a hefty knock in the challenge, he duly buried the spot kick deep into the corner of Jamie Macdonald’s net. It was to be the 25-year-old’s first and last kick of the game as he was carried down the tunnel with a nasty looking knee injury. Rory McKenzie sliced a shot along the turf from far out on the right; it whizzed past Wes Foderingham on the quick surface and nestled in the bottom corner. It was game on and the sides had played only seven minutes. There were 16 minutes gone when Bobby Madden incurred the wrath of the home support for waving away a penalty claim from Josh Magennis. 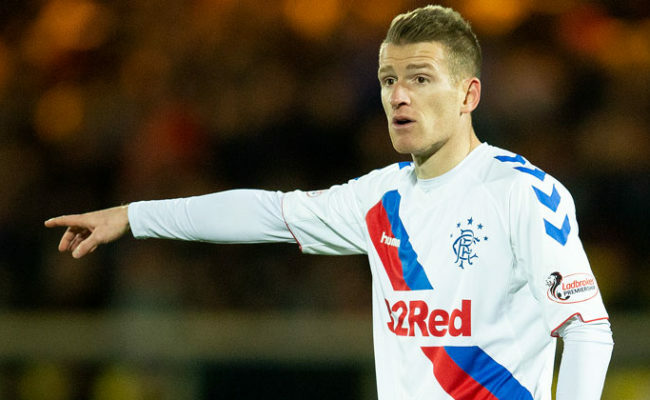 Rob Kiernan was badly caught in possession as he dawdled midway inside his half and the Northern Irishman nicked the ball off his feet. One on one with the keeper Magennis tore through on goal but the centre-half caught up with him and swiped player and ball away just shy of the six yard box. Magennis shook his head in anger while Kiernan breathed a huge sigh of relief. Killie were pressing hard when Craig Slater picked the ball up 25 yards out and sent a fizzing shot at Foderingham on 20 minutes. The weather made it move and the keeper had to be alive to halt its flight. As the half-hour mark approached Jason Holt had Gers best chance to retake the lead. The diminutive middleman burst into the box to collect a ball over the top from Danny Wilson and jink around the keeper who went to ground, outstretched. The nine-goal-man couldn’t quite overcome the tight angle to finish though and dragged his chance wide. Moments later Dom Ball was booked for a bad challenge on Greg Kiltie and Warburton and Davie Weir were pulled to one side by Madden. The quick surface and electric atmosphere were combining to make for a tense first-half. New Kilmarnock boss Lee Clark appeared out of the tunnel to pass on some vital instructions 10 minutes before the break. Conrad Balatoni won’t have impressed his new manager as he was punished for an amateur passback as James Tavernier attempted a cross two minutes later. The referee pulled play back to the area on the left of the box but the right-back’s free-kick came to nothing and Killie broke immediately. McKenzie shot from distance and once again it stung the palms of Foderingham. Andy Halliday should have done better with a well-positioned free-kick on 44 minutes but it barely made it over the wall and cannoned off a Killie body to go out for a corner. Barrie McKay sprang into life 10 minutes into the second period to force a superb save out of McDonald. The 21-year-old cut in from the left to drill a forceful shot goalwards and the keeper had to move fast to palm it out of play. McDonald was back making another excellent stop moments later as he turned a Tavernier shot over the crossbar. The right-back had pushed forward to cut inside and let fly with a typically stinging strike. On 65 minutes Miller looked to shoot just inside the box but as he attempted to advance towards the ball his shirt was pulled back. It stopped the striker reaching the ball to get an effort away but Madden once again shooed away Gers protests and waved play on. Warburton and Weir were once again up in arms with the decision. Rangers were pouring forward is desperate search of a second goal. Next up Holt tried his luck, grazing a strike along the plastic pitch from the right. He could only watch on as it skimmed the upright and went out for a corner. Harry Forrester entered the game with 20 minutes left to play and within seven minutes had a superb chance to score as he squared up to goal. The forward couldn’t apply the power the shot needed though and Killie’s defence easily blocked it. With seven minutes left to full-time Lee Wallace evaded several challenges to cut inside and curl a low shot goalwards. Much to the Light Blues frustrations it only missed the target thanks to a deflection. Rangers were camped out and with four minutes till time Halliday whipped a dangerous free-kick into the area from out on the right, which very nearly made it over the line itself. Forrester was there to pick loose ball up at the back of the box but he couldn’t strike the half volley well enough and Killie were able to clear. On the stroke of full-time and with their final chance of the game McKay whipped a brilliant corner into the near post. Clark was lurking and got a toe to the ball to bury it beyond Macdonald. 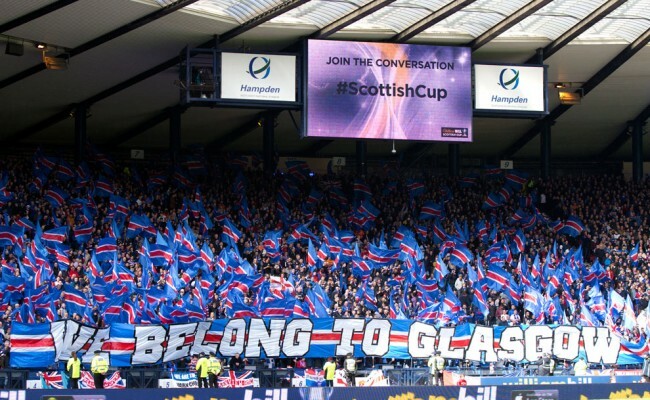 The hordes of Rangers fans inside Rugby Park were sent into raptures – Rangers nicking it at the very death.